Limited edition run of only 500 pcs, manufactured by LionSteel in Italy! The CRKT Motley is a Ken Onion designed knife with the an IKBS bearing system. It features a dramatic recurved blade made from Bohler Sleipner steel with a satin finish. The handle is made from heavily contoured and milled titanium, with a carbon fiber inlay that also doubles as an over travel stop on the lock side. 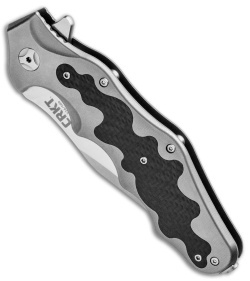 The pocket clip is set for tip-up carry, and can be easily swapped from side to side with a torx bit. 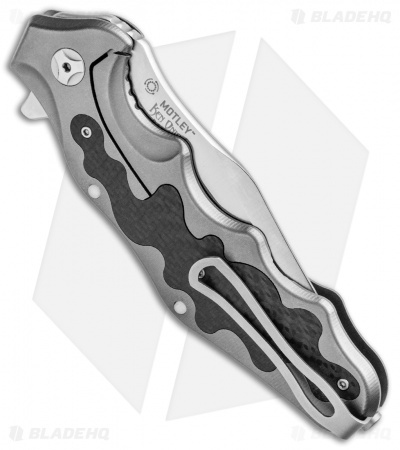 Premium Bohler Sleipner stainless steel, offering supreme edge retention and toughness. 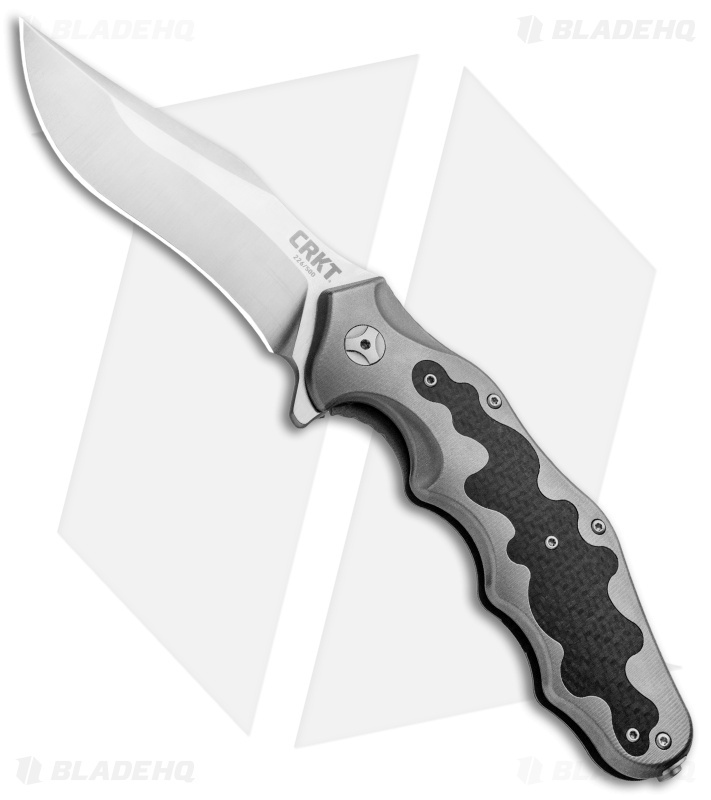 Contoured titanium handle with finger grooves and a classy carbon fiber inlay. Comes with a leather pouch to store the knife in. 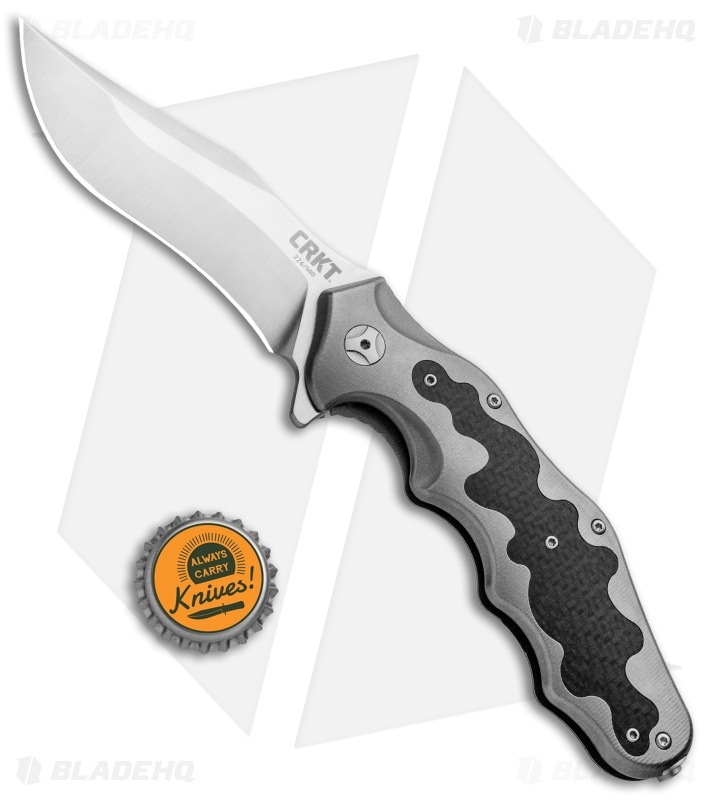 While I was not sure about dropping more than $400 on a CRKT knife even if it was made by Lionsteel, I’m really glad I did. This thing is a beast that fills the hand perfectly and looks amazing with the carbon fiber handle and recurve satin finished blade (that arrived very sharp). In addition, while the lockup is also perfect and the action is really good on the IKBS bearings, the fit and finish is on a level you would expect of a knife in its price range. And while the box it arrived in was very plain, I really liked the leather wrap CRKT provided with the blade as well. Finally, the only criticisms I have are that the lack of a hardened steel lockbar insert creates a very small amount of lock stick at times, and I would have personally liked a CPM blade steel like M390. However, given all the other positives, these issues are fairly minor and do not greatly detract from an overall great design. I own quite a bit of Ken Onion's collaboration knives he has done with Kershaw and CRKT. They are all good but the Motley absolutely takes the cake! The fit and finish is excellent per Lion Steel. Honestly, the only thing bettee than this would be a full custom from the man himself. For those balking at a $400+ CRKT knife - think Lion Steel. All parties ivolved did an excellent job on this one. This might be the Onion collaboration knife to end them all!